Flipgrid is a great video response tool that can be used by students of almost any age including those under age 13 who often don't have email addresses. If your students don't have email addresses you can create student IDs for them to use on Flipgrid. You can manually create IDs for them within the Flipgrid website or you can import a spreadsheet of names to generate Flipgrid IDs for your students to use. 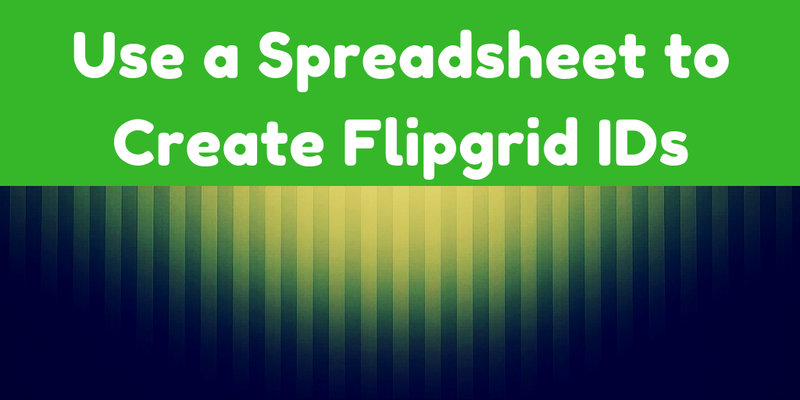 Watch this video to learn how to use a spreadsheet to create Flipgrid roster IDs.